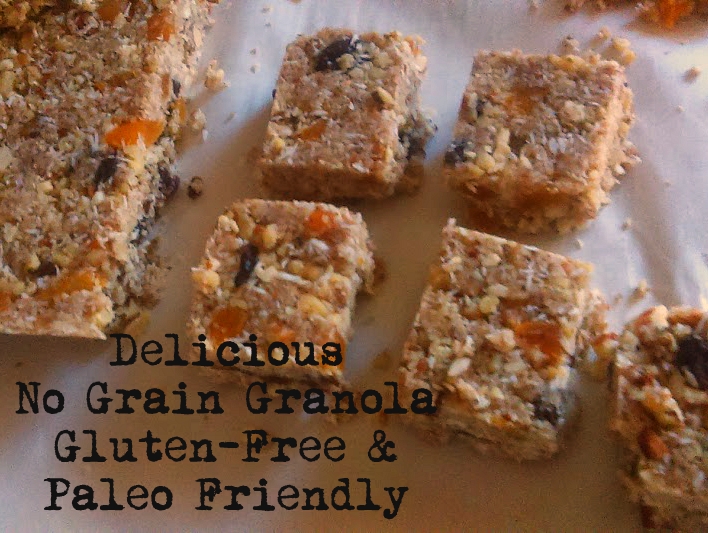 Avoiding grains can be a very difficult thing to do! 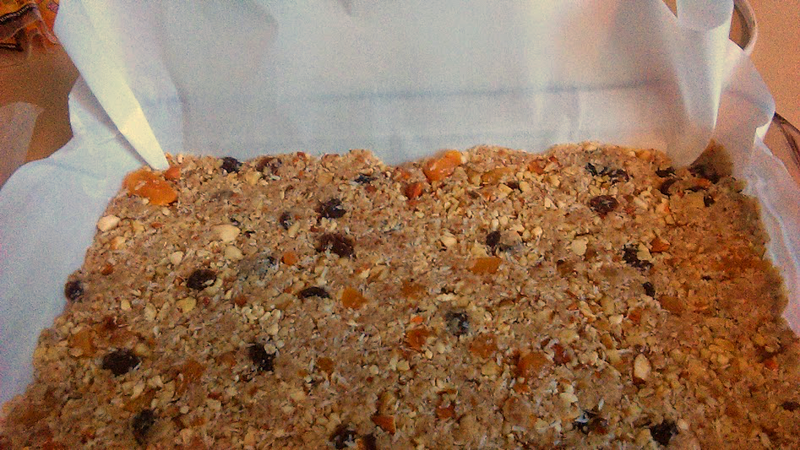 For me, granola was always something that I enjoyed, especially if it came in the form of a handy little bar shape. Convenient and tasty, granola is a mainstay for many busy families. 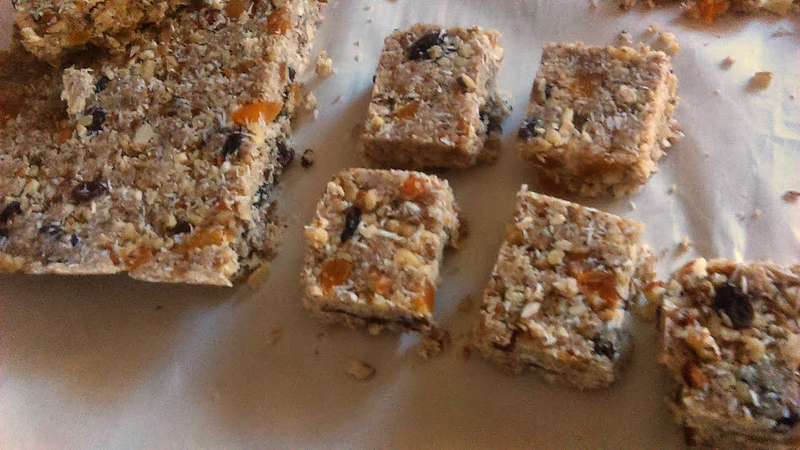 I was given this recipe by a dear friend and love it so much that it will be a mainstay for healthy snacking or an on the go breakfast! 1) Layer 9 x 13 pan with parchment paper. 2) Mix nuts and seeds in a bowl. 3) Take out 1 cup and chop into small pieces. 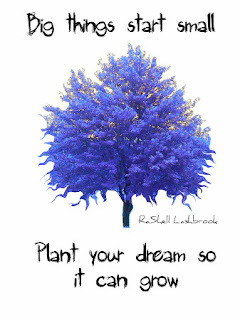 4) Chop remaining nuts and seeds into even smaller pieces. 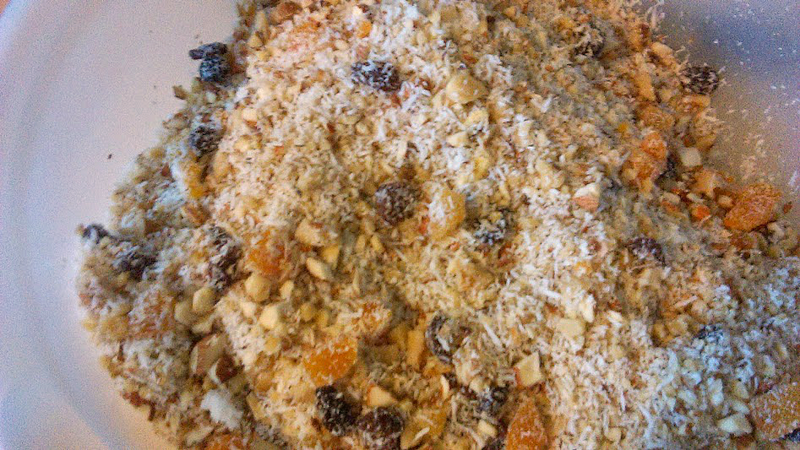 5) Combine all nuts/seeds with dried fruit and shredded coconut. 6) Heat in medium saucepan - oil, nut butter, honey, vanilla, salt and cinnamon until bubbling. Remove from heat. 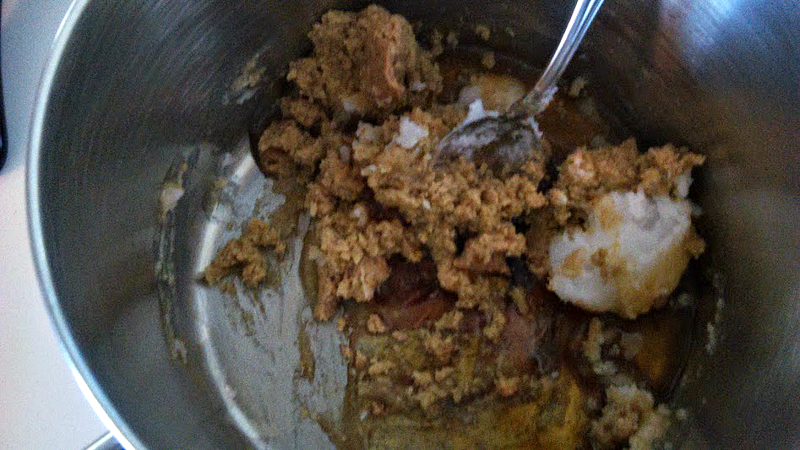 7) Mix wet mixture into nut mixture until thoroughly combined. 8)Press mixture into pan. Use waxed paper to keep hands from getting sticky. 9) Let sit for 2 hours. 10) Cover and put in freezer for 1 hour. 11) Lift out of pan using parchment paper. 12) Cut into desired sized bars.